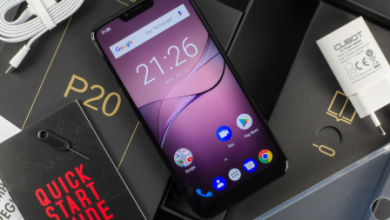 If the phone’s appearance is the most important feature for you when looking for a new smartphone, then there is no need to overpay and acquire top branded models. There are myriads of second-tier China-based smartphone vendors that will offer a number of products looking identical to the flagships but coming with relatively weak hardware. Currently, the notch screen is mainstream. And all smartphone makers have managed to design their own models that adopt this style. Also, the gradient back panel is another mainstream. As you see, both concern the design of the smartphone. So if these are what you have been searching for, there is an amazing offer at $139.99. This is the price tag of the Cubot P20, a replica of the Huawei P20 Pro. 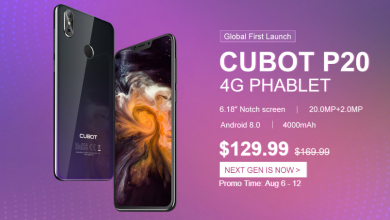 The Cubot P20 sports a large 6.18-inch screen with a notch. Actually, the screen is the biggest selling point of this handset. So it’s logical to see a Full HD+ resolution instead of an HD resolution found on the smartphones from this price range. The borders are quite narrowed. However, this is not true for the chin. Well, due to its narrow bezels and the good use of space, does not appear to be as large as the inch size suggests. The 3mm bezels and the forehead make it quite suitable for single-hand operations. But this is not for small-hand users. Not surprisingly on the back, the Cubot P20 uses a glossy plastic housing. It looks very nice and is pleasant for touch, but it is not scratch-resistant. On the contrary, the Cubot P20 has a scratch-resistant front glass. Under the hood, the Cubot P20 uses one of the most-popular MediaTek mid-range chip of MT6750T. This is a relatively old SoC using a 28nm process node and an octa-core design. But it has already managed to prove its good performance and stability for uncounted times. It is also paired with a 4GB LPDDR3 RAM, a 64GB eMMC storage, and a 4000mAh battery. Due to good system optimization, the Cubot P20 is capable of providing performance similar to the Ulefone X sporting an Helio P23. By the way, this model comes with Android 8.0 out of the box. On the rear, the Cubot P20 features a 20MP + 2MP dual-camera. The second sensor doesn’t have another function besides providing a bokeh effect. Actually, this is the same camera seen on the Cubot X18 Plus. And we have to admit, the Cubot P20 is the larger-screen variant of the latter. Besides the display, all features are identical to what we can find on the X18 Plus. As for the front shooter, it has a 13MP resolution and supports smart beauty.